My breakfast is green. What color is yours? I would like to share my nutritionally superior smoothie recipe we consume each morning as a breakfast. We are tea drinkers so need to have a dose of caffeine too (working on changing that habit). But next comes the green smoothie which has become a part of our morning rituals, which I love. And guess what, it is extremely easy to make and will bring super health for you after you do a 30 minute prep once every 2-3 weeks. The reason why we need to have our green dose is because we live in time where the daily stresses and burdens of toxicity are increasing multifold leading to chronic inflammation, allergies and eventually diseases. Rather than take a pill approach to treat the symptoms, lets consume some healing foods to boost our immunity and restore wellness. You might need to fine tune the recipe as per the foods that suit you and your family. 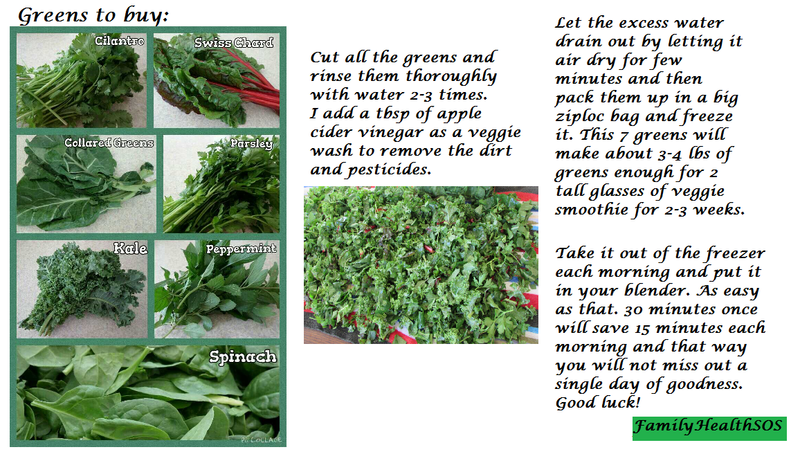 A green smoothie a day will repair and regenerate your body cells in a way you never imagined. It has been a part of our mornings for a year now and I can see the benefits and make it a point to not miss it. 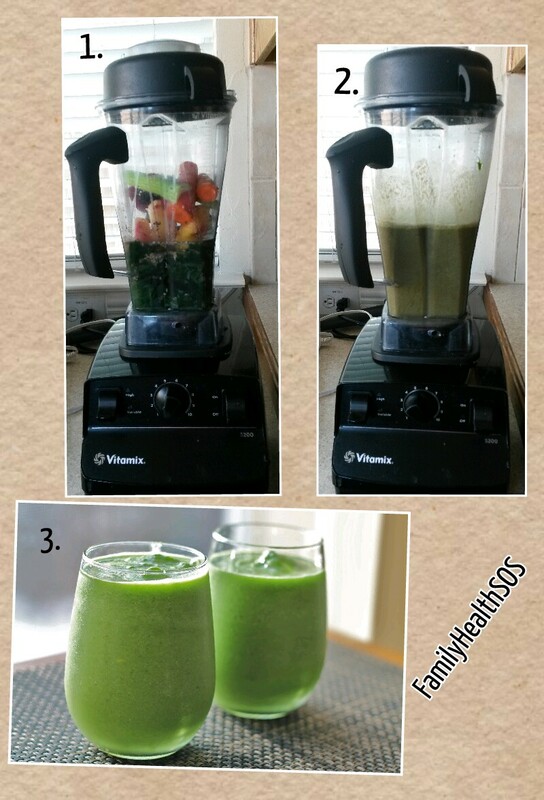 Every minute is precious in the morning hustle so here is my quick smoothie recipe. I got organic frozen berries mix, organic pineapple chunks and organic apples. 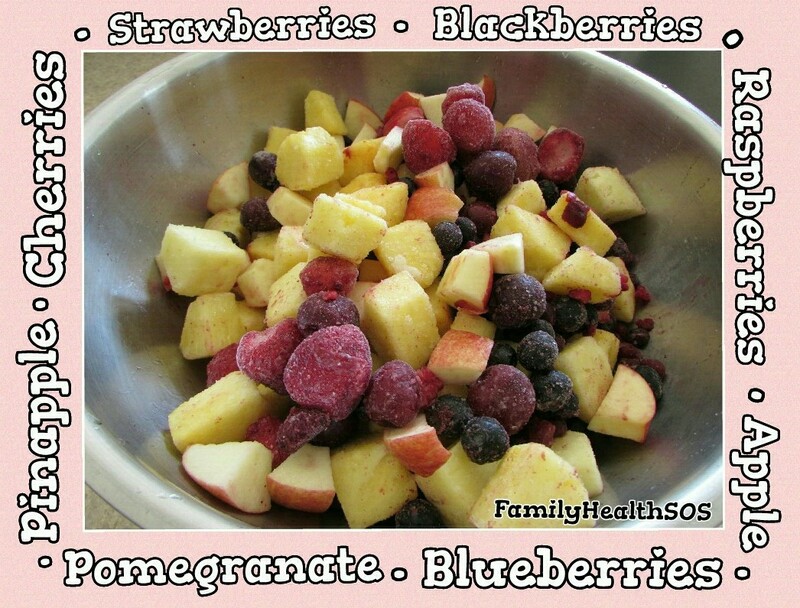 Mix them together and freeze it for added convenience. I also add 1 tbsp of chia seeds, hemp seeds and flax seeds to the smoothie for a omega-3 boost. Recipe: Mix 2 cups greens + 1 cup frozen fruits + 1 tbsp whole seeds mix + 2 cups water + 1 carrot or 1 stick celery + salt to taste and blend it together for 1 minute. It will provide you with a healthy dose of vitamins, minerals, proteins, antioxidants, omega 3’s and 6’s, essential amino acids and dietary fiber. Cheers to a life of health and vitality. Keep reading and write back your thoughts. P.S. If you are new to smoothie world, I would recommend you start with 1 greens and 1 fruit and work your way up! Also do not go overboard with Kale/Collard greens. Yes they belong to Healthy Cruciferous family and has tons of health benefits but consume them in limit in smoothies cause it is raw. Thanks Niti for sharing this. Yeah, green smoothies are delicious n yummy too. The sooner people can start, the sooner they will find out themselves. We have been doing this for our breakfast since last year and we can see the results. My husband had very less allergies this pollen season. Last year he took zyrtec every 2 days and this season it was 3-4 times in a month and pollen was much more as compared to last season. We initially started with only one fruit and green for eg: pineapple and spinach or pineapple and kale and then kept on adding different fruits and now we can drink pretty much anything that we can think of. Thank you, Monica. Yes, green smoothie has helped us in our healing journey too. It is miraculous! I will add your tip to the post here. Start with 1 fruit n 1 veggie and keep increasing the numbers along the way, tailoring to your needs. Niti, thanks for this post! I will be following this morning recipe as I start to get more onto a nutritional vegi diet. I really like the ideas of the different kinds of greens that you give because I didn’t even know what some of the vegies were (like the Swiss Chard), and the seeds that provide Omega-3 boosts. Thank you, Sumit. It sure feels awesome to drink a green smoothie in the morning! You will figure out the right mix of greens/ fruits that works for you after few trials. Since you are just starting I would recommend you start with 1 green n 1 fruit and work your way up. Best of luck!